Over the last few decades robots have been steadily replacing humans in industrial and manufacturing sectors. Increasingly, robots are appearing in a broader array of service sectors; they’re stocking shelves, cleaning hotels, buffing windows, tending bar, dispensing cash. Nowadays you’re likely to be the recipient of news articles filtered, and in some cases written, by pieces of code and business algorithms. Indeed, many boilerplate financial reports are now “written” by “analysts” who reside, not as flesh-and-bones, but virtually, inside server-farms. Just recently a collection of circuitry and software trounced a human being at the strategic board game, Go. So, can computers progress from repetitive, mechanical and programmatic roles to more creative, free-wheeling vocations? Can computers become artists? A group of data scientists, computer engineers, software developers and art historians set out to answer the question. 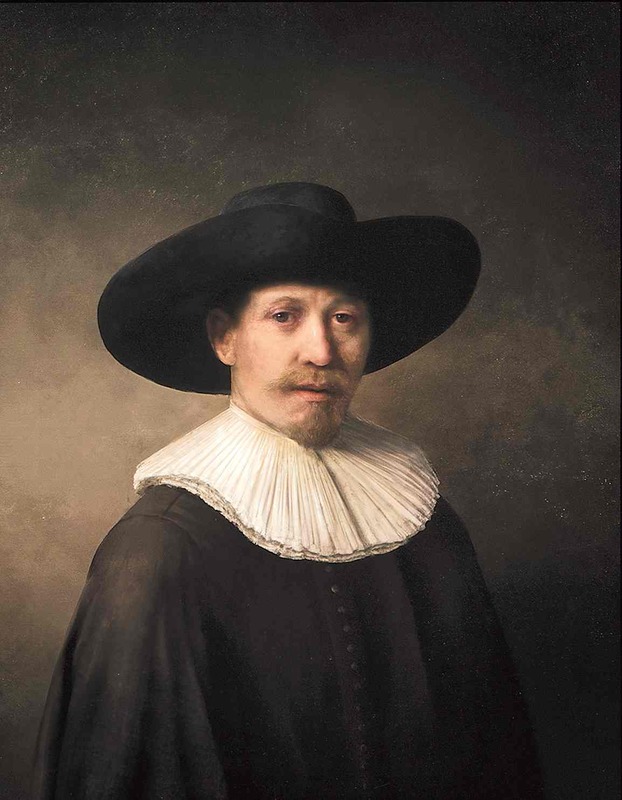 I’ve been away for a few days and missed the April Fool stories in Friday’s papers – until I spotted the one about a team of Dutch “data analysts, developers, engineers and art historians” creating a new painting using digital technology: a virtual Rembrandt painted by a Rembrandt app. Hilarious! But wait, this was too late to be an April Fool’s joke. This is a real thing that is actually happening. What a horrible, tasteless, insensitive and soulless travesty of all that is creative in human nature. What a vile product of our strange time when the best brains dedicate themselves to the stupidest “challenges”, when technology is used for things it should never be used for and everybody feels obliged to applaud the heartless results because we so revere everything digital. Hey, they’ve replaced the most poetic and searching portrait painter in history with a machine. When are we going to get Shakespeare’s plays and Bach’s St Matthew Passion rebooted by computers? I cannot wait for Love’s Labours Have Been Successfully Functionalised by William Shakesbot. You cannot, I repeat, cannot, replicate the genius of Rembrandt van Rijn. His art is not a set of algorithms or stylistic tics that can be recreated by a human or mechanical imitator. He can only be faked – and a fake is a dead, dull thing with none of the life of the original. What these silly people have done is to invent a new way to mock art. Bravo to them! But the Dutch art historians and museums who appear to have lent their authority to such a venture are fools. Rembrandt lived from 1606 to 1669. His art only has meaning as a historical record of his encounters with the people, beliefs and anguishes of his time. Its universality is the consequence of the depth and profundity with which it does so. Looking into the eyes of Rembrandt’s Self-Portrait at the Age of 63, I am looking at time itself: the time he has lived, and the time since he lived. A man who stared, hard, at himself in his 17th-century mirror now looks back at me, at you, his gaze so deep his mottled flesh is just the surface of what we see. We glimpse his very soul. It’s not style and surface effects that make his paintings so great but the artist’s capacity to reveal his inner life and make us aware in turn of our own interiority – to experience an uncanny contact, soul to soul. Let’s call it the Rembrandt Shudder, that feeling I long for – and get – in front of every true Rembrandt masterpiece..
Is that a mystical claim? The implication of the digital Rembrandt is that we get too sentimental and moist-eyed about art, that great art is just a set of mannerisms that can be digitised. I disagree. If it’s mystical to see Rembrandt as a special and unique human being who created unrepeatable, inexhaustible masterpieces of perception and intuition then count me a mystic. Image: The Next Rembrandt (based on 168,263 Rembrandt painting fragments). Courtesy: Microsoft, Delft University of Technology, Mauritshuis (Hague), Rembrandt House Museum (Amsterdam). Where evaluating artistic style was once the exclusive domain of seasoned art historians and art critics with many decades of experience, a computer armed with sophisticated image processing software is making a stir in art circles. Computer scientist, Dr. Lior Shamir of Lawrence Technological University in Michigan authored a recent paper that suggests computers may be just as adept as human art experts at evaluating similarities, and differences, of artistic styles. 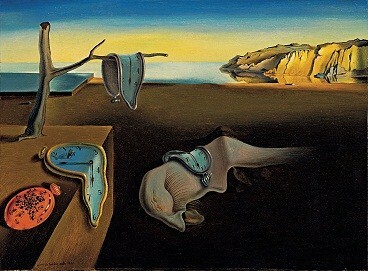 Dr. Shamir’s breakthrough was to decompose the task of evaluating a painting into discrete quantifiable components that could be assigned a numeric value and hence available for computation. These components, or descriptors, included surface texture, color intensity and type, distribution of lines and edges, and number and types of shapes used in the painting. Dr Shamir, a computer scientist, presented 57 images by each of nine painters—Salvador Dalí, Giorgio de Chirico, Max Ernst, Vasily Kandinsky, Claude Monet, Jackson Pollock, Pierre-Auguste Renoir, Mark Rothko and Vincent van Gogh—to a computer, to see what it made of them. The computer broke the images into a number of so-called numerical descriptors. These descriptors quantified textures and colours, the statistical distribution of edges across a canvas, the distributions of particular types of shape, the intensity of the colour of individual points on a painting, and also the nature of any fractal-like patterns within it (fractals are features that reproduce similar shapes at different scales; the edges of snowflakes, for example). All told, the computer identified 4,027 different numerical descriptors. Once their values had been established for each of the 513 artworks that had been fed into it, it was ready to do the analysis. Dr Shamir’s aim was to look for quantifiable ways of distinguishing between the work of different artists. If such things could be established, it might make the task of deciding who painted what a little easier. Such decisions matter because, even excluding deliberate forgeries, there are many paintings in existence that cannot conclusively be attributed to a master rather than his pupils, or that may be honestly made copies whose provenance is now lost.